These are the "Go to" places where you can begin to touch the soul of Alaska. They can be difficult to reach, but worth the effort. They are in no particular order. For planning purposes, start with a few of these destinations and then link them together with the travel options outlined in other sections of this site. 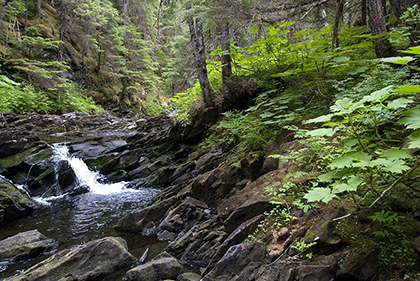 Located in Tracy Arm/Ford's Terror Wilderness south of Juneau, this is an easily accessed from Juneau by boat. It is cannot be topped by any other destination and is my personal favorite. It is a classic fiord with glaciers, waterfalls, un-named valleys, and wildlife. There are two arms of the wilderness area. Endicott Arm stretches south from the entrance, Tracy arm to the north. Both are spectacular. The mountain is spectacular to view. It rises 20,000 feet from its base to its summit. 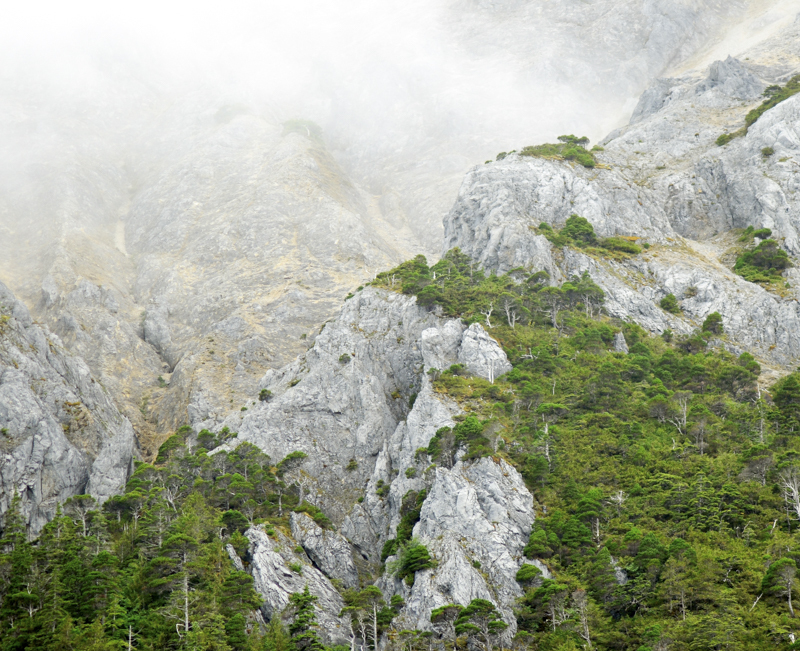 Other mountain ranges start their uplift at 10,000 feet. Denali is visible from as far away as downtown Anchorage. For all its grandeur, its the animals that steal the show. Take the first bus out from the Park Service shuttle in the morning to get the best photo opportunities. The slide show is composed of images all captured in one day in the park. A frank word on the road- it is flat out dangerously narrow at times with no shoulder or guard rail to provide any margin of error. The visitor center is modern and well staffed. This system of caves was discovered in the 1980's and in the mapping that has begun, it is clear that that its is a scientific treasure trove. Fossilized animal remains have rewritten the migration theory into North America. The caves have turned out to be be one of the largest cave systems in North America. 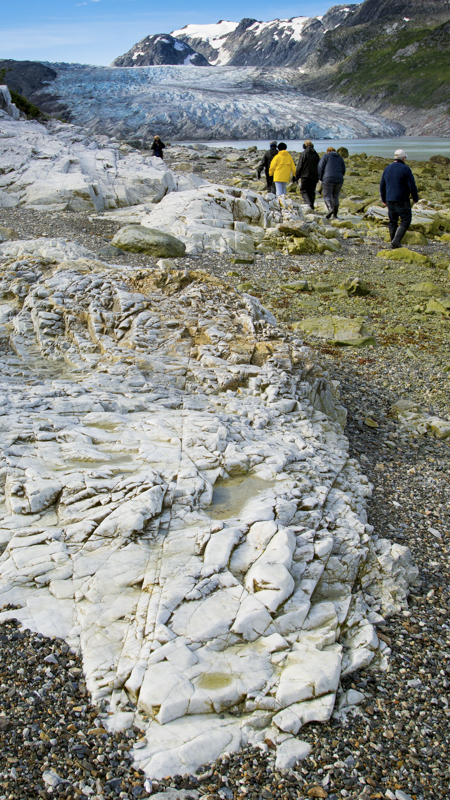 They produce amazing topography along Prince of Wales Islands northern coast. You can view the caves at El Capitan. The picture was taken at Coronation Island. 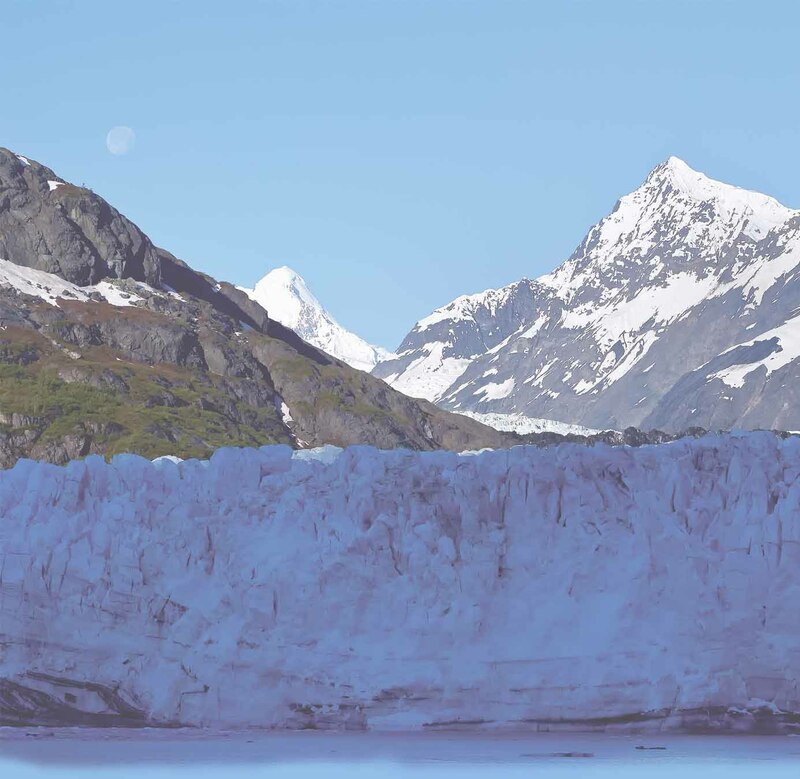 Glacier Bay National Park & Preserve is the top rated park in America. There are not many contenders to dispute that. There was no bay when Captain Cook first visited the area. Glaciers filled the bay. It has gone through an amazing transformation that is happening right before our generation. Don't miss it. There is a "hotel chain" in Alaska that has some of the best views possible that very few people know about. You can rent Forest Service cabins through out Alaska. They provide basic shelter, an means to start a fire, and usually sleep 4 to 6. The maid service is a "little slow" but its all about location. 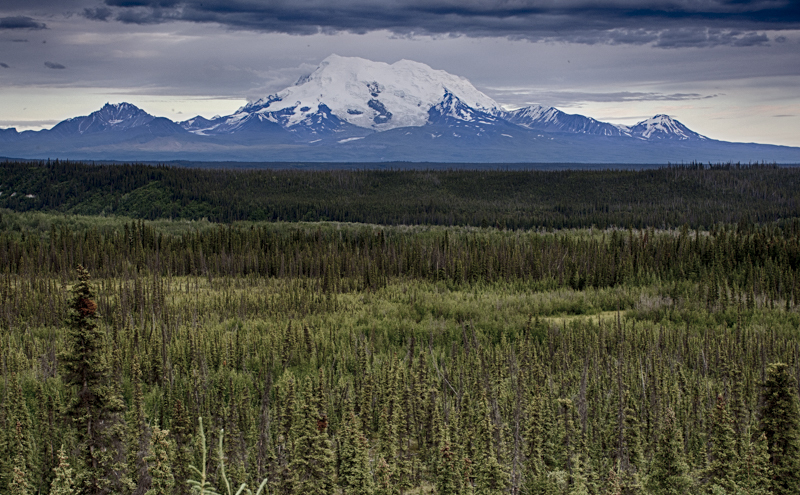 Like an older sister, Denali gets all the attention but the Wrangell - St. Elias National Park has its own beauty. Mt. 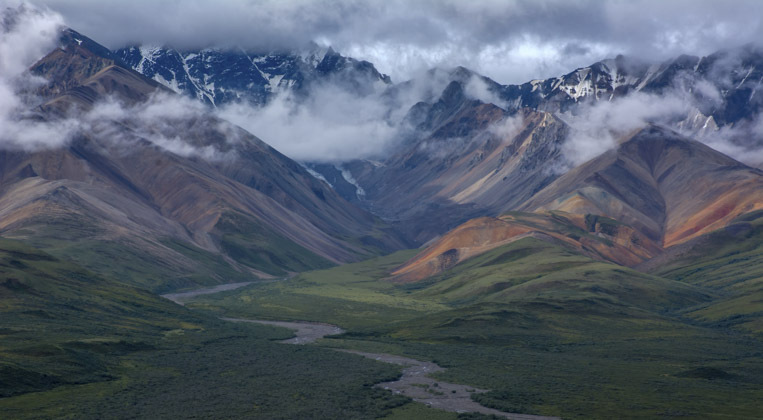 St. Elias is part of the highest coastal mountain range in the world. You can access the park by road from the north and by ship from the south. Light houses in Alaska are being renovated and preserved by converting them to B & Bs. This is definitely a romantic spot. If these lighthouses could speak! Vitus Bering first went ashore here in 1741. Naturalist George Stellar made the first contact between Western culture and Native culture here on Kayak Island. 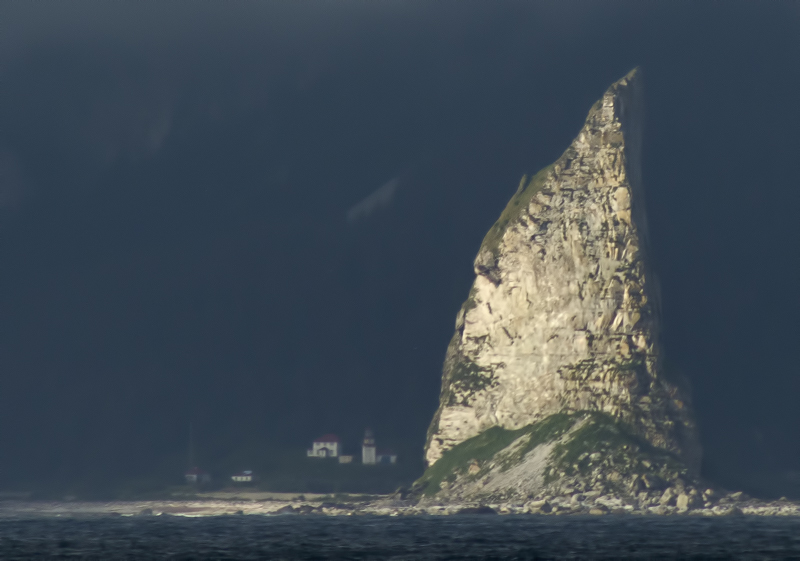 We know Captain Cook went ashore here in 1778.The lighted cliff rising like a giant tooth is circumventable by foot. The B & B here can be accessed by a flight from Cordova. The Island is a State Marine Park. 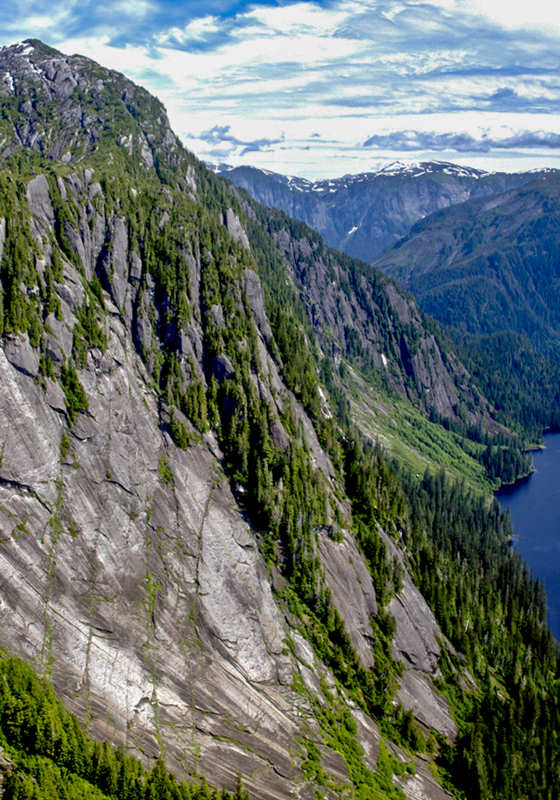 Misty Fiords is the largest designated wilderness area in the United States. It is accessible only by boat or float plane. Although it has no glaciers, it has been shaped by them. You can easily access the Monument from Ketchikan. The best way to see it is by kayak. Taxi boats can take you out there and pick you up again at the end of an adventure. Katmai is famous for its bear viewing at Brooks Camp. You can get there from Anchorage or Kodiak in a day excursion. The Valley of 10,000 Smokes is an active volcanic vent. Mt Starr and Mt ReDoubt have each erupted in recent times. 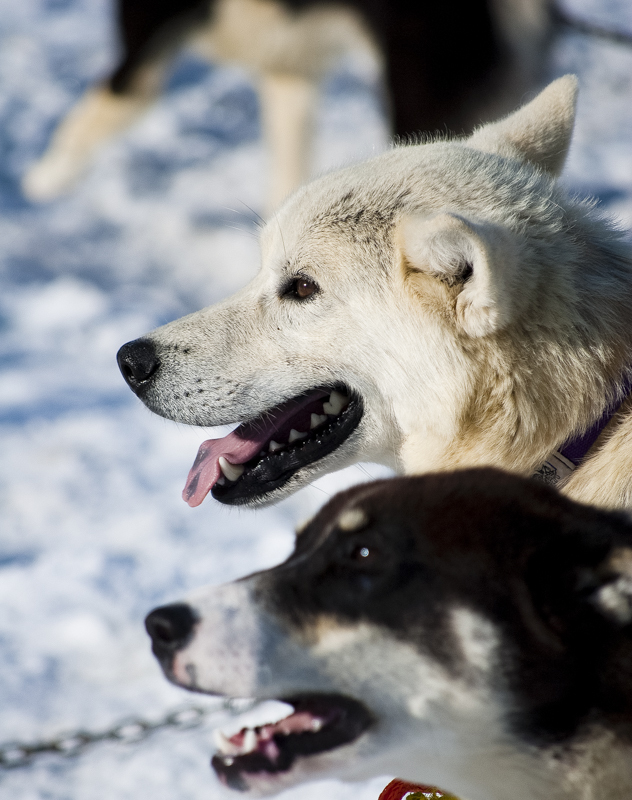 In March the great sled dog race begins in downtown Anchorage. Although its just a ceremonial start, the dogs seem to pickup energy from the large crowd that is always in attendance. Listening to the dogs sensing to go command is a little like watching a car race. The noise and power of the take off is quite an experience. Especially if you are able to secure a seat on board the sled. That is possible through an Online auction and then you will have it all going for you. There are over 20 million self described birders in the US. 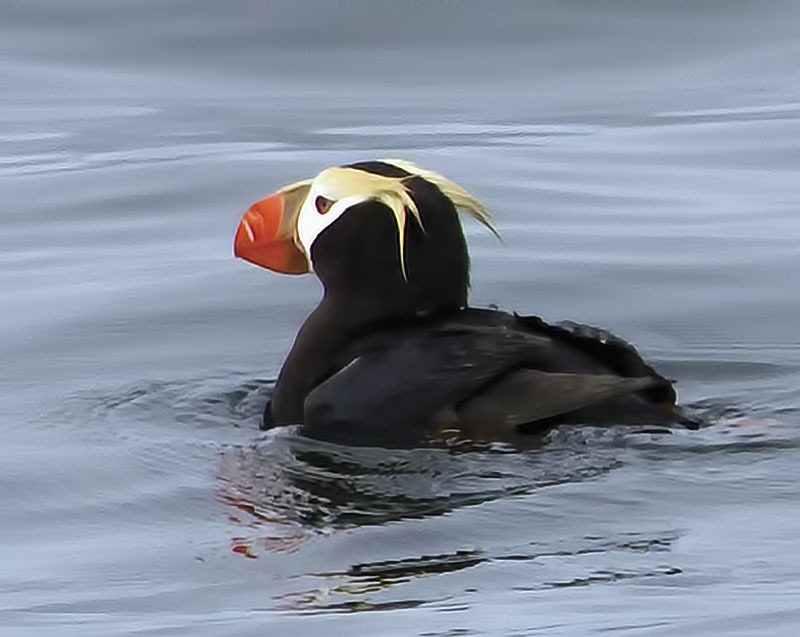 The "holy grail" of bird watching is on the Aleutian Islands in the spring. It is here that one can really fill out their list with exotic birds that wander over from nearby Asia. Flights go as far as Adak but serious birders will actually forgo creature comforts and stay in the WWII bunkers that still exist on Attu. Attu is actually in the Eastern hemisphere. The rivers flow from Canada, then through the highest coastal mountain range in the world, then empty out in the Gulf of Alaska. The area stretching from Wrangell St Elias to Glacier Bay includes in Canada Kluane National Park and the Tatshenshini-Alsek Provincial Park. Together they form the laregst protected stretch of land in the world. The area is a designated world heritage site and you can raft it. The trip to the coast takes about a week. Outfitter guides offer trips down the river. Considering the scale of relief, It is surprisingly a benign trip except for one portage. The photographic opportunities are astounding. 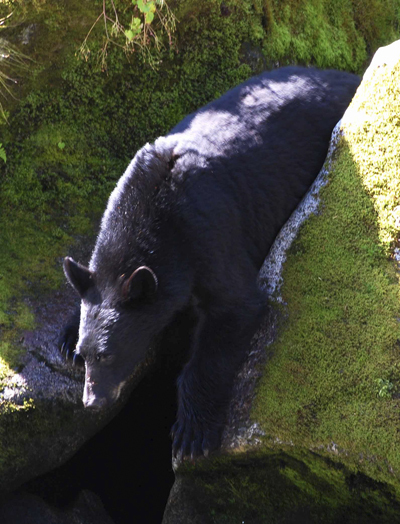 The Anan Creek Bear Observatory near Wrangell provides a unique view of both Black Bears and Brown Bears in lush rainforest fauna. The photo opportunities that this provides is excellent. Trips can be booked out of Ketchikan via float plane or Wrangell using a float plane or jet boat. The action is best in July and August. A camaflaged viewing screen allows for great up close shots. 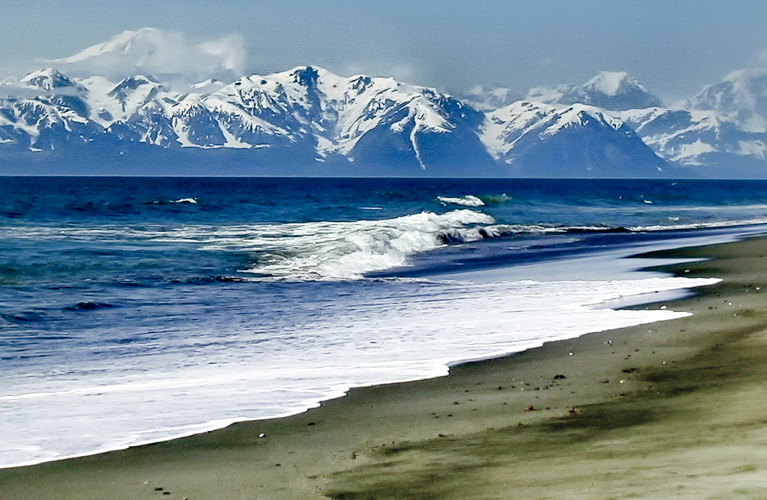 Surfing in Alaska? This is nothing new for serious surfers who already have Canon Beach on their bucket list. Canon Beach got it name from the left over WWII military battery positioned along the shore. Alaska remains the last place in the US where US territory has been held by an invading nation. Nearby are the Hubbard Glacier and Russel Fiord Wilderness areas. The fishing in Yakutat is outstanding. And, you have a great chance of seeing the legendary "blue" glacier bear that frequents the area. 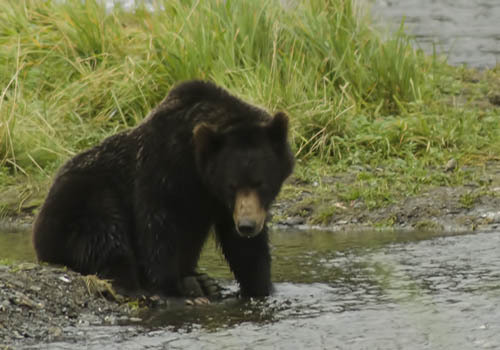 In the spring the bears come down to the shore to look for clams. This is really a unique habituation situation. Only here at Pack Creek are there unwritten rules established between bruin and human about how each is going to act. This arrangement allows for a greater proximity that has been passed along for generations. You go there by permit and you are guided in by forest service personnel. July and August are the months to see bears there daily. 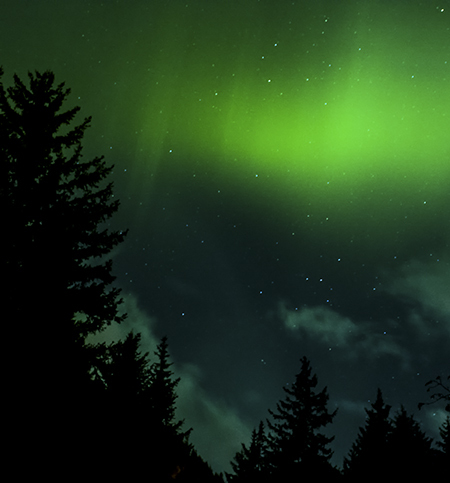 North of Juneau from November to March is prime Northern Lights photography season. If you are a photography nut, you really need to try your skills out on this truely unique and spectacular natural wonder. Forecast charts are available on the internet and aps too.